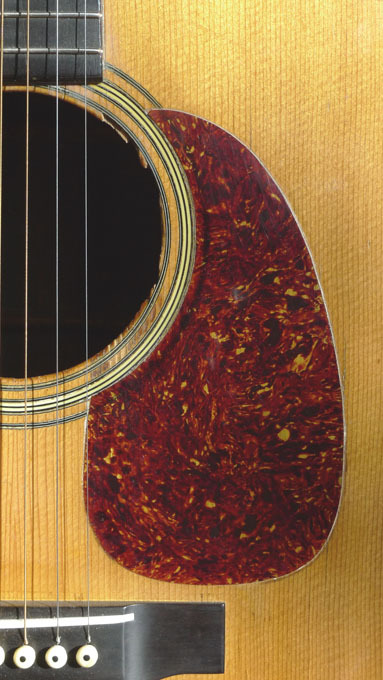 A chance to own a great sounding, great playing Brazilian Rosewood D-28, at a fraction of the cost of an all-original example. This D-28 has had some work, and a few issues, but it’s all repaired and ready to play. 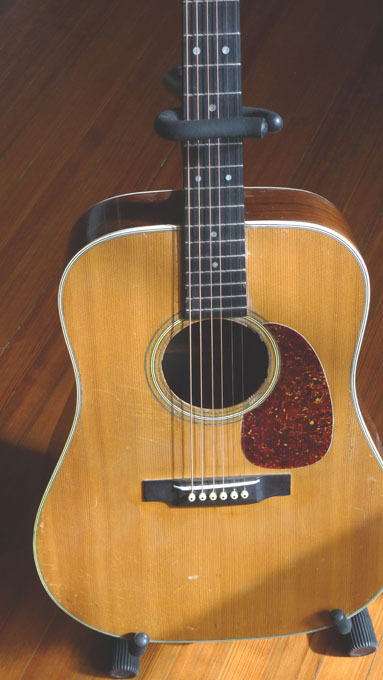 And the tone is incredible– tone you won’t find in any other mid-50’s D-28. 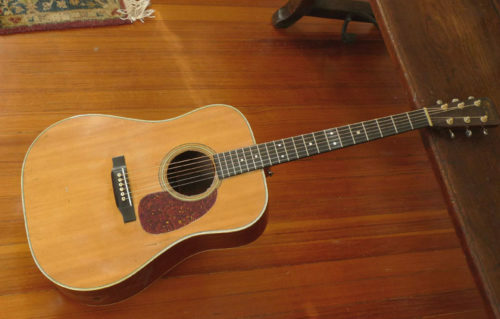 This guitar, has just been gone over head to end pin, repaired, restored, and set up, by two of the top luthiers/repairmen in Texas, and it’s good to go for decades. The bridge is perfect. Saddle is perfect height. Action is great– low but no buzzing. It won’t need a thing. Ready to play. 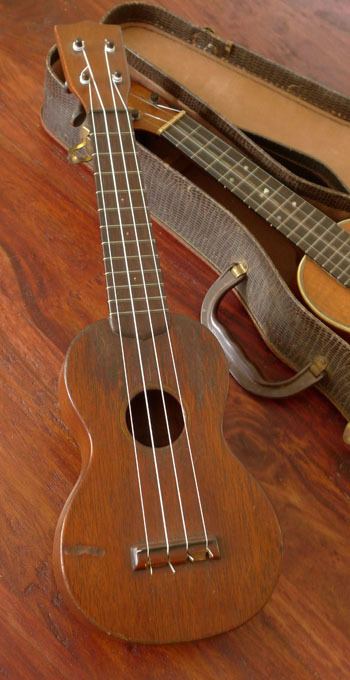 The tone: the scalloped braces add roundness and clarity to the basses (A and D string in particular) and a bit more “ring” to the trebles. 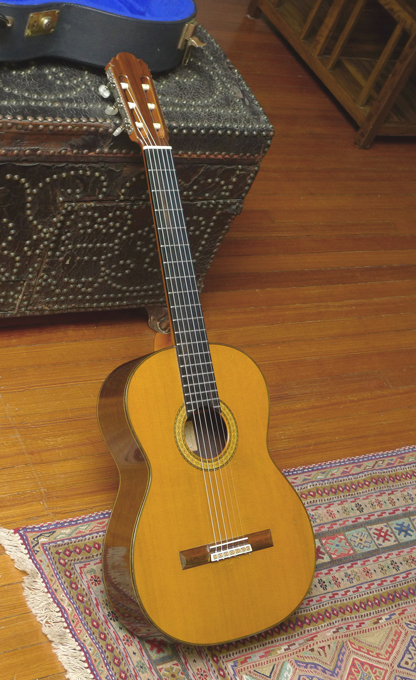 Don’t try this at home– a scalloped braced mid 50’s D-28, but the result, set up by two of this country’s top luthiers, is a great sounding brazilian Martin dread, whose tone you won’t find in any Martin north of 1944– certainly not at this price. 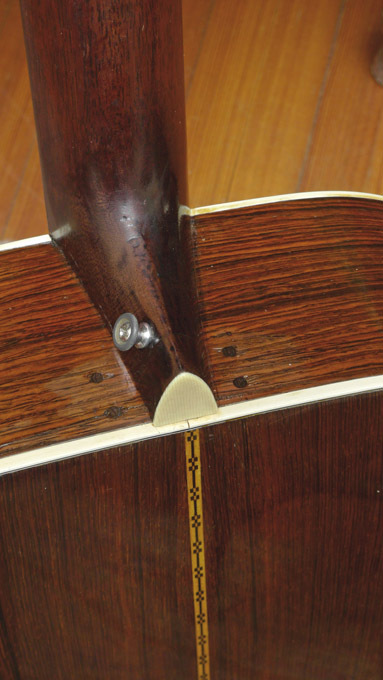 probably as a result of a minor impact at the end pin (guitar dropped), there were cracks in the sides, and a slight crack to the neck block. So a previous luthier, long before we acquired the guitar, put in 4 small wood dowels, through the sides–near the heel, into the block (see photos). All is stable. Not the prettiest solution, but it works well. A bit of damage to one corner of the headstock. 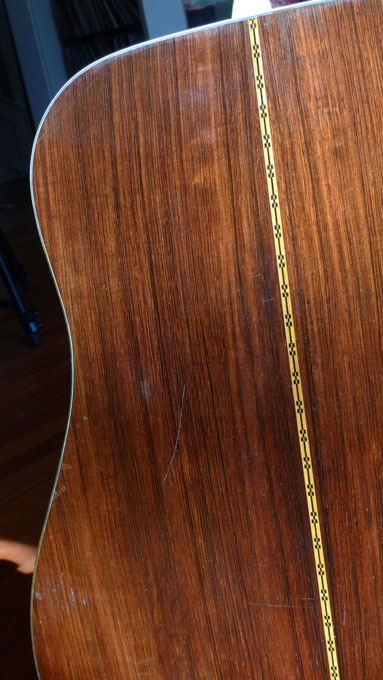 But there are no cracks in headstock. 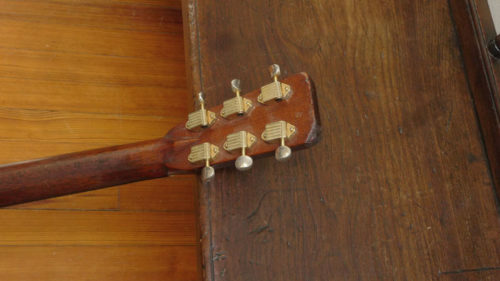 Pickup jack installed years ago at end pin; no pickup inside; Also, an old pickup jack on bass side of guitar, filled. 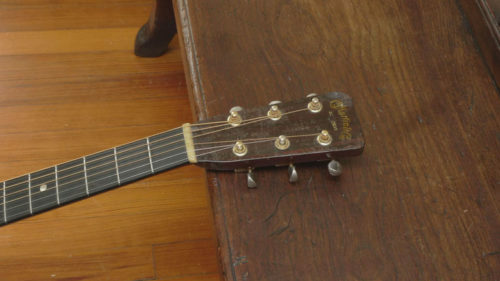 Top of guitar has no serious cracks. No “B string” pickguard crack. 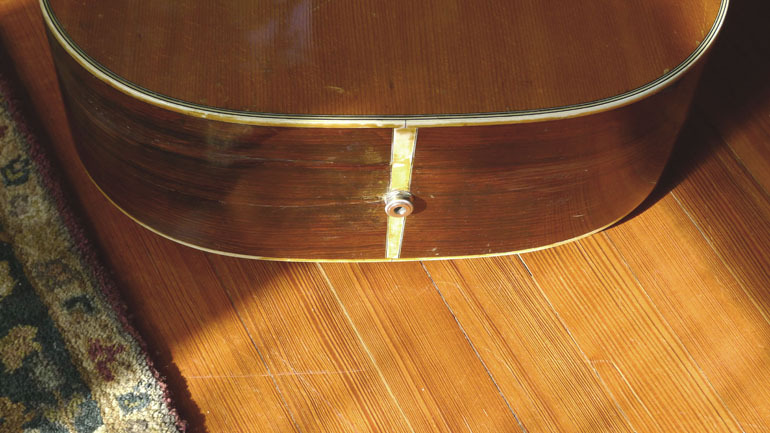 Tiny crack along the treble edge of the pick guard. A couple more finish type of cracks that do not go through the wood to inside. Several side cracks, all addressed. 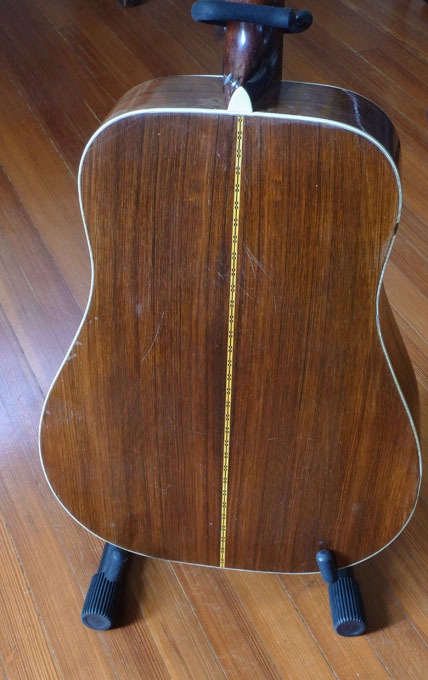 Back of guitar has no cracks through the wood. A couple of finish cracks. New, 100% period correct, ebony bridge, made and installed by John Allison. Bridge is made to the exact specs, footprint, etc, of an original 1956 Martin bridge. A small area of finish around an older oversized bridge was addressed by John (you can see this in the photos). 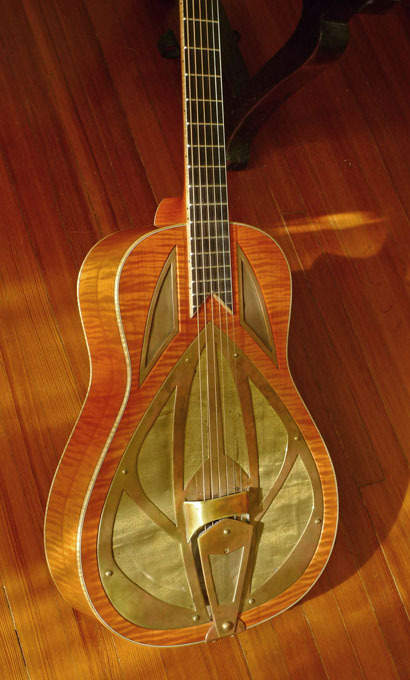 Old pickup jack on bass side of guitar, filled by Tony Nobles. The wonderful, original gold-plated Kluson waffle-back tuners, are original, and work perfectly.